Interior pest control treatments are, or should be, delicate matters. 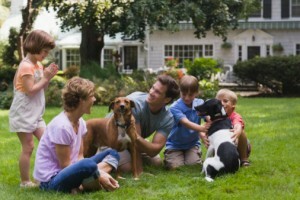 Your family is there, your pets are there, and everything else important to all of us resides inside the home. The days of pest control operators entering the home and spraying everything in sight are over. If necessary, only pinpoint applications are made. Crack and crevice treatment, with a totally organic non-toxic pesticide is used by Kimco GREEN to address insect problems without becoming a danger to those living inside. After a thorough inspection, our technicians begin with the outer foundation of your home. Many times, insects are found along the foundation especially in the cracks in the soil. Ants, earwigs, crickets and other insects that are found inside your home are an indication that the exterior of your home needs pest control treatment, not necessarily the interior. The exterior pest control treatment we offer consists of lawn and garden treatment, shrub treatment and house perimeter treatment with our totally green organic pesticide. You, your family and your pets will be able come into contact with the treated areas as soon as the treatment is completed without any fear or hesitation. If we control the exterior of your home, you will be surprised by what you won’t see come inside. Kimco Green doesn’t have contracts. You can get your home serviced once if that’s what you want, however we do suggest that you get your property treated three times a year, and we do have an optional 3 TREAT PLAN. If you pay in advance for three treatments you can save as much as 30% and you will be covered year-round with Spring, Summer and Fall treatments. We consider our chemical free, non-toxic applications an investment in your family’s quality of life and we’re pretty sure that once you’ve seen the benefits of our comprehensive treatments, you won’t have to be tied to a contract to get your property serviced. Thorough treatments by our technicians begin with the outer foundation of your home.